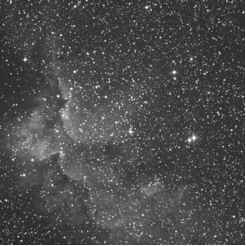 * Equation (13-19)yieldsa beamwidth about 20% greater than A/D (Chap. 9). This accounts for the nonuniform illumination of the parabola by the feed. where Qx and Qy are in deg, and G is in dBi. For example, an antenna with a 1 deg by 2 deg elliptical beam has the same gain as a circular antenna with a beamwidth of 1.4 deg. Gain calculated in this manner is generally accurate to within 25% (1.2 dB) for beamwidths less than 150 deg. The beamwidths Qx or 8y can be estimated from Eq. (13-19) with D equal to the major axis or minor axis diameters. where 0 is the antenna half-power beamwidth, and e is the pointing error. For example, for e equal to 912, the pointing loss is 3 dB. In calculating a link budget, we would subtract this pointing loss from the antenna gain. where S is the path length in m, and/is the frequency in Hz. • Contribution of nearby objects, buildings, radomes, etc. 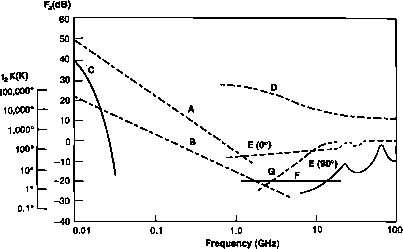 Figure 13-7 shows the estimated noise temperature from various external sources as a function of frequency. Note the necessity of keeping the receive antenna from pointing toward the Sun when the beamwidth is narrow (< 5 deg). Otherwise the Sun will significantly increase the antenna noise temperature. Fig. 13-7. Minimum Expected External Noise From Natural and Man-made Sources, 10 MHz to 100 GHz [Ippolito, 1986]. • Transmission Lines and Filters—equal to (1 -L)T, where L=P0/P,is the ratio of output power (P0) to input power (P,) and 7" is the component temperature in K.
• Low Noise Amplifier—equal to (F - 1) 290 K, where F is the noise figure from Eq. (13-24). To where Tr is the noise temperature of the receiver itself, and 7q is a reference temperature, usually 290 K. The noise figure is often expressed in dB (that is, 10 log F). For example, a cryogenically cooled receiver for reception of telemetry signals from a space probe may have a noise figure of 1.1 (0.4 dB) for a noise temperature of 29 K.
where Lr is the line loss between the antenna and receiver, expressed as a power ratio. The second term in Eq. (13-25) is the noise contribution from the transmission line, and the third term is the contribution from the receiver. The receiver noise temperature is the sum of these two terms. These noise temperatures are referred to the antenna terminal by dividing by Lr. Continuing with our cooled receiver example, assume the line loss is 03 dB, making Lr = 0.89. Then the noise contribution from the line loss is 36 K and the receiver noise is 33 K, both referred to the antenna terminal. Then Ts is Tam + 69 K.
Table 13-10 shows typical noise temperatures for satellite systems using uncooled receivers. When a narrow satellite-antenna beam looks at Earth, the uplink antenna noise temperature is the temperature of the Earth, about 290 K. In the future, improvements in design of low-noise amplifiers will reduce the receiver noise figures, especially at higher frequencies. TABLE 13-10. Typical System Noise Temperatures In Satellite Communication Links In Clear Weather. The temperatures are referred to the antenna terminal. [See Eq. (13-25)1.